My beloved and faithful friend is fading fast. 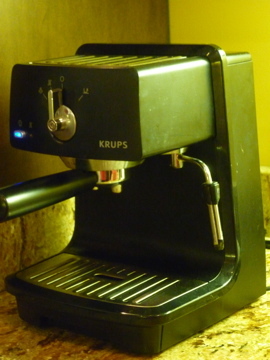 After nearly five years of service, our ancient Krups pump driven espresso machine shows signs of seizing. 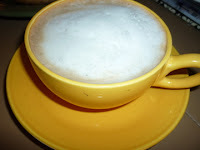 It leaks from a multitude of places and has begun to balk at the idea of steaming milk for my morning macchiato. It is difficult to even say it out loud. I don't want to hurt Krup's feelings, after all. You know, kick him when he's down. But with three of the four of us pulling a double shot each morning, and sometimes again in the afternoon, with occasional after dinner espressos, something must be done. There are so many decisions to make before committing to another... so, I've been seen around town dating a few machines before Krups is even cold. I know. I'm a coffee whore. A floozy. A shameless hussy. 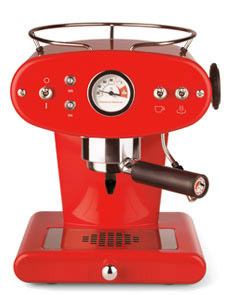 In true hussy fashion, I'm drawn to the snazzy red finish and robotic R2D2 look of Francis Francis, but would need a second mortgage to buy it. 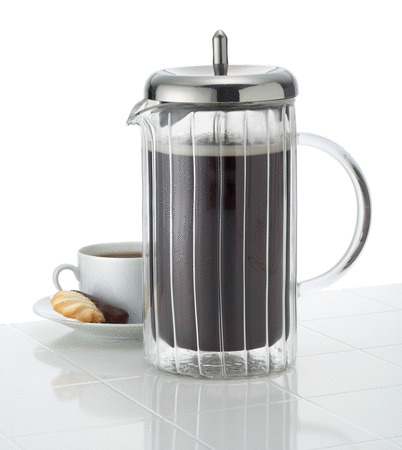 I read a blog the other day about going back to the low tech french press method... no electricity, no hassle. Wait, you do have to boil the water, first. So some electricity is involved. 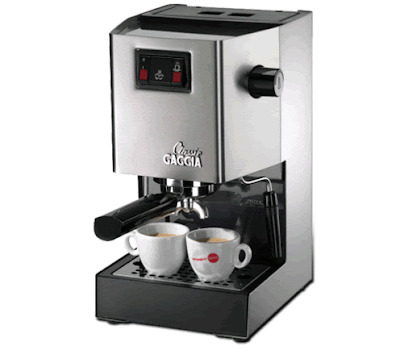 After all of the dust settled, blogs and reviews read, price comparisons and research done, and of course, Ebay consulted for my husband, Chris' peace of mind, I've decided on this lovely Italian Gaggia Classic model. (You know how I feel about anything Italian.) The brand name is pronounced, gazzjuh.